We held our first public community LEGO display on Saturday 28th July at the Civic Centre in Blanchardstown and it was great to see so many turn up for the event! 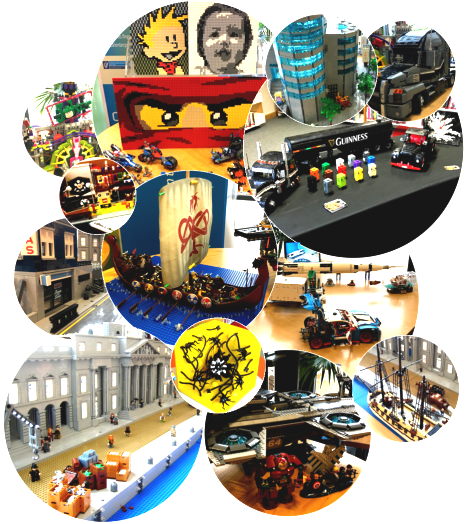 With a huge variety of creations on show, from custom made Brickheadz and stop-motion videos to electrified Helicarriers, it sure was an enjoyable day for all (including some AFOLs who tip-toed out of the closet!). We’d like to extend a big thank you to all who dropped by for a bit of LEGO chit-chat and to the exhibitors and behind the scenes helpers of course for helping to make it a very successful day. Not to forget, we also wish to thank the staff at Blanchardstown Library for their superb hospitality and we’re delighted to announce that our generous hosts have invited us back by for Culture Night on Friday 21st September. So if you missed this one, do join us then and if you think you’d be interested in partaking in this upcoming event check out the forum for details.